Years'Efforts Put Airwheel electric Self-balancing on the Map. Abstract: Airwheel has achieved an extraordinary success and great honour by three-year-long persistent effort. 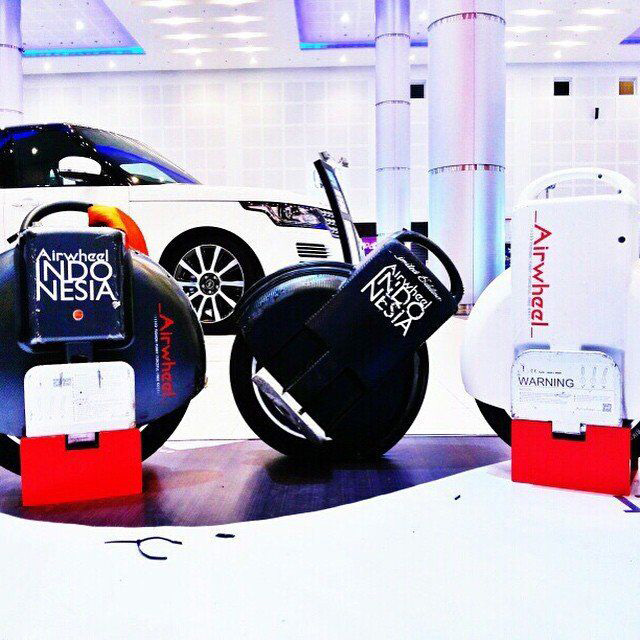 As a scooter manufacturer, Airwheel turns into an eminent maker industrywide and worldwide. Airwheel has achieved an extraordinary success and great honour by three-year-long persistent effort. As a scooter manufacturer, Airwheel turns into an eminent maker industrywide and worldwide. Persistently holding principles of innovative, eco-friendly and user-friendly, Airwheel has successively launched three series of scooters, and manages to be the leader of current sector of the 2-wheeled electric scooter. These series include the single-wheeled X-series, the twin-wheeled Q-series and the intelligent self-balancing S-series. The single-wheeled unicycle X-series boats its staggering agility. On the base of X-series, 2-wheeled structure Q-series is invented, which would makes sure the balance and strengthens the ease of use. The last one, S-series, climbs the peak of Airwheel in terms of design and technology. All advantages are wrapped into Airwheel scooter, so it is sure to gain a great currency. Several years ago, Airwheel took the first try on X3. It also promoted other models of X-series, including X5 and X8 successfully. Although years passing, the obsession of scooter enthusiasts for X-series doesn't fade. Single-wheeled structure might not be acceptable by some tyros, but more people are really crazy about its agility while riding. Via X-series electric unicycle, they showcase their amazing riding skills. They tend to display their fancy tricks in the streets or squares before pedestrian, like turning circles, sitting on it while rolling, standing upside down and even pushing a car while standing on it. In another word, the single-wheeled structure better set off their fancy tricks. To sum up, the X-series is suitable for veterans and Q-series is better for green hand. 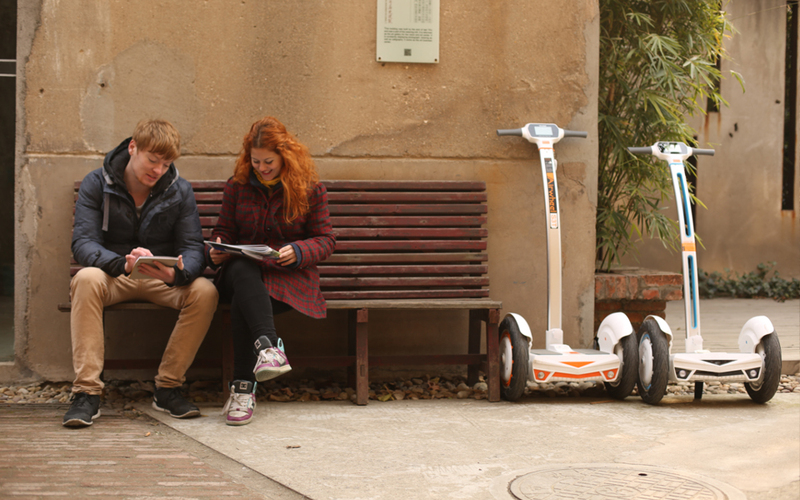 On the base of X-series, a twin-wheeled scooter, Q-series, was produced by Airwheel. Q-series inherits the exterior design from X-series. Notwithstanding, Q-series owns its characteristic twin-wheeled structure. The twin-wheeled structure took the place of the single-wheeled structure. Thanks to the twin-wheeled structure, the rider feels more easy to keep balance and more convenient on Q-series. Not strangely, most scooter enthusiasts are fond of Q-series. S3 is the termination of unicycle. In trade fairs, it always presents itself with its contoured and streamlined exterior. In the meantime, the nature of environmental protection would lead intelligent self-balancing scooter to broader market. Previous：What Makes Airwheel Electric Scooter so Successful?